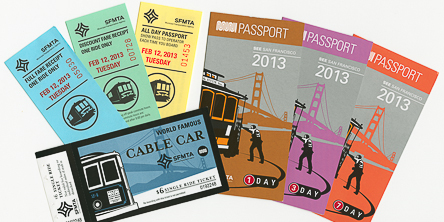 If you’re planning on riding the cable cars, and you should, the best way to ride is with a Muni passport. It is also the best way to get around on all our public transportation. Public transportation (a bus or street car) cost $2, and is good for 90 minutes of unlimited transfers. A cable car is $6, and is only good until you get off. So a round trip is $12. Plus, you need exact change on all public transportation. And if you don’t have proof of payment, it’s an expensive ticket. 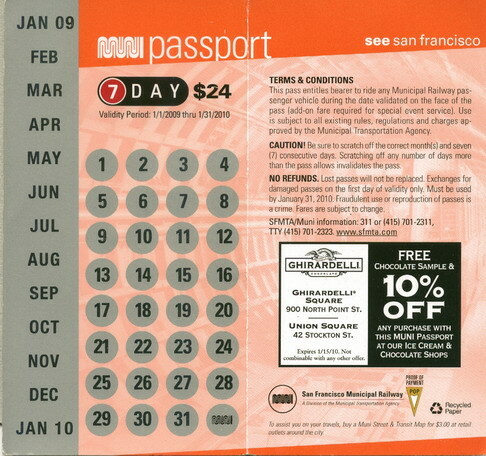 Save yourself hassle by getting a 1, 3, or 7 day MUNI passport. They cost $14, $22, $28 dollars respectively (the 7 day pass shown is from 2009). Just scratch off the month and consecutive days you want to use it, hop on any bus, streetcar, or cable car anywhere in San Francisco, and ride as long or as short as you like. You can pick them up at many shops (such as Walgreen’s) and MUNI stations. We San Franciscan’s complain about MUNI, but it actually is a good system, especially the streetcars (the F, J, KT, L, M, and N lines), which are speedy. 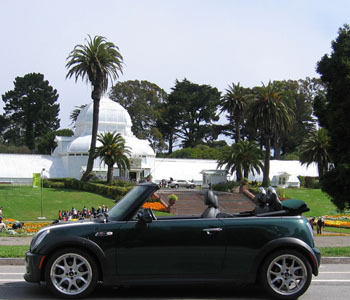 By the way, don’t drive in San Francisco. Really. 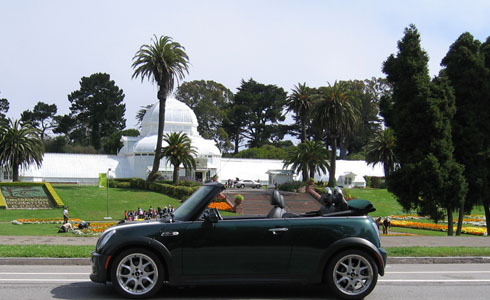 You may be a great driver where you live, but San Francisco will have you chewing the steering wheel. Driving and parking in San Francisco is a challenge, even for professionals such as yours truly. We have hills, streets that mysterious become one-way when you least expect it, and confusing maps. Plus parking is a nightmare, and expensive. You’re on vacation! Relax and let someone else do the driving. This entry was posted in Insider Tips, The Blog, Uncategorized by Reed. Bookmark the permalink. thanks for the info. this really cleared the mystery about passport. the picture was helpful.